This is the cornbread Grandma made every day at suppertime. Some days it was supper. Modern-day cornbread sometimes contains exotic ingredients, but you will not find them here -- not flour and especially not sugar. Grandma lived way out in the country, and she saved her white flour for something more special than everyday bread. This is the best cornbread for cornbread dressing, and it's my favorite for eating, too. 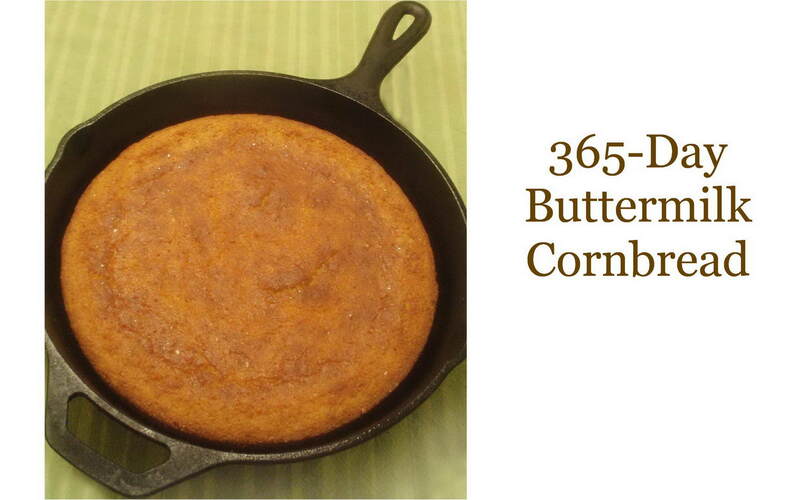 This cornbread is best baked in a 10-inch cast-iron skillet but if you don't have one, a Pyrex dish will do just fine. If you halve this recipe, use an 8-inch square dish; if not, use a 9x13-inch dish or pan. Beat the eggs in a medium bowl until frothy. Add the corn meal, salt, baking soda and baking powder, and stir to combine. Add the buttermilk and stir well. Remove the hot pan from the oven. Swirl the pan to make sure it is coated with melted bacon drippings. Pour the bacon drippings into the batter and quickly stir to combine. Pour the batter into the pan, and bake 20 to 25 minutes. Cornbread will begin to pull away from the sides of the pan. Cornbread batter should be mixed, poured and baked quickly. As soon as the leavening ingredients (that would be the baking soda, baking powder and buttermilk) are combined, the chemical action that makes the cornbread rise is activated. No need to hurry; just don't mix up the batter and then make a phone call before you pop it in the oven. Also, make sure your baking powder is fresh. If it's more than six months old, it's a good idea to replace it. I always buy baking powder in the smallest quantity I can find.